An indoor dog potty is a great choice for puppies or dogs who don't have access to a safe outdoor potty spot. They're also excellent for balcony or patio homes, in extreme weather conditions, for very tiny breeds or for older dogs with bladder control issues. Up until fairly recently, puppy training pads or newspaper were the only choices for dog owners in these situations, but portable dog potties have many advantages over pee pads. The majority of these dog potties use either real or artificial grass and this is a big bonus for owners who want Fido to transition to a grassy area outdoors eventually, or who are using the indoor potty during bad weather or illness and such. On this page I'm going to take a look at the pros and cons of some of the most popular indoor dog potties on the market and also feature the ones that I personally think are the best options. But first I'm going to take a quick look at how potties and pads stack up against each other. When it comes to training a puppy to pee or poop inside there are only two options for pet parents. Training pads, portable potties (grass or litter-based). 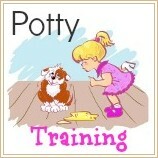 Training pads are very popular and the most widely used indoor potty training product. Pee pads are relatively low cost, easy to use and easy to dispose of. 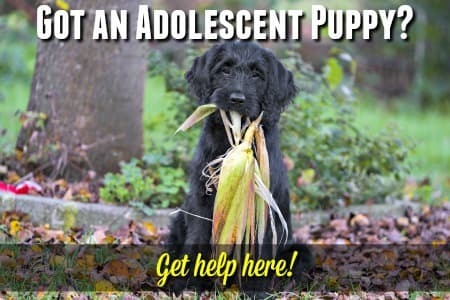 Their main drawback is that puppies often see them as toys and are prone to playing with them, dragging them around or chewing them up, this can cause a lot of mess (as I'm sure you can imagine). Using a training pad tray can help with this to some extent. An indoor dog potty is an altogether more durable piece of housebreaking equipment. Of course, some dogs will also see an indoor dog potty or litter box as a plaything, and chewing on, dragging, digging/scratching etc. 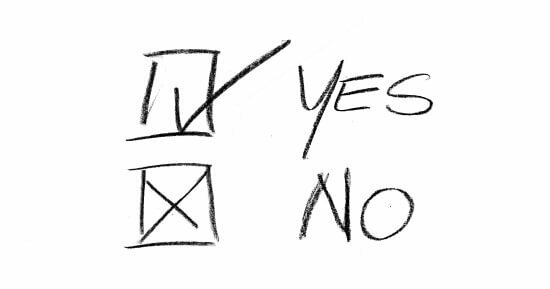 are possible. 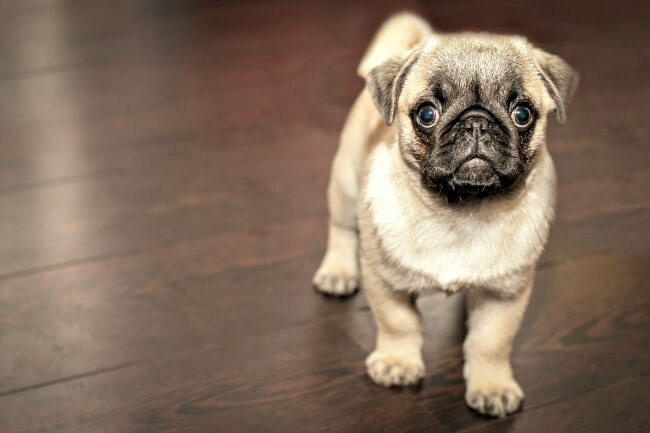 It's usually fairly straightforward to train a puppy to use a potty/litter box but for an older dog or one who is used to either eliminating outdoors or on pee pads, a period of confusion or even distrust at first isn't unusual. Dog potties come in a variety of different sizes, designs and materials. Some use artificial turf, others use real grass (hydroponically grown, not just regular sod from the yard). There are also doggie litter boxes which use litter rather than grass, and potties which come in a variety of combinations of plastic trays, pans and absorbent materials. Which indoor potty you choose depends on how (and for how long) you plan to use it, your puppy or dogs' size, cleaning preferences and environment. In my experience, an indoor dog potty with grass, either real or artificial, works best. I prefer real grass, and so do most dogs, but synthetic grass potties are a good option if it's what you prefer or find easiest. When my son was in an apartment with his Staffordshire Bull Terrier, after a lot of research and testing, he chose the disposable Fresh Patch potties. They were a great success and Fresh Patch Dog Potties are my #1 recommendation if you're looking for an indoor dog potty (and these can be used outdoors too on a balcony or patio!). Fresh Patch is the original 'real grass' indoor dog potty. It uses real, hydroponically-grown grass which is clean, light and free of the dirt, bugs and other stuff which comes with 'regular' turf. Absorbent, natural, eco-friendly and comfortable for your pup/dog to stand on. The carefully cultivated and complex root system of this natural sod makes this potty super absorbent and helps to eliminate the odors that artificial turf is prone to carry. Most puppies and dogs are familiar with the feel and smell of real grass and have no trouble understanding that this is their potty spot! Each disposable Fresh Patch potty measures 16" x 24" and works well for dogs up to approx. 25lbs in weight. The potty is fully disposable, and with the reliable Fresh Patch replacement/delivery service you will always have a clean, fresh replacement potty on hand. At the time of writing this article the delivery service plans are priced starting at $29 per month for the small Fresh Patch and $40 per month for the grass which fits the XL tray (which needs to be purchased separately). If you need the full 4' x 2' area grassed, it's cheaper to buy Fresh Patch Training Sod which comes in 4' x 2' sections and fits perfectly. So - no nasty, messy cleaning. Just throw away the eco-friendly potty and replace it with a fresh one. If you want a more rigid frame around the disposable container you can buy a protective Pine 'sleeve' to slip the potty into. 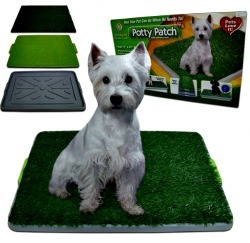 Fresh Patch indoor dog potty can also be used outdoors because it's made from natural grass, and is perfect for patios, balconies etc. Designed to stay fresh for a week or two, if you water it and keep it out of strong sunlight it can last longer. Piddle Place is my #1 choice of indoor dog potties which use synthetic turf. It's innovative design helps to keep the grass (and your dogs' feet) dry, reduces odors, and makes cleaning a breeze. The molded plastic base is a fully-enclosed reservoir which catches urine and keeps it contained. Set up includes adding an odor-destroying bio-enzyme concentrate solution to this reservoir to keep any smells at bay. The cover of this containing reservoir is grooved and has a good-sized drain to funnel urine away quickly. On top is the layer of artificial 'grass' which is short and 'springy' to make scooping poop easier. 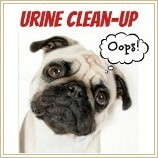 Its' surface is also porous to allow urine to pass through it quickly while staying dry and comfortable on Fido's feet. The Deluxe unit comes with a cover for travel. Cleaning is much less messy with Piddle Place than with many other systems because the sealed reservoir is easily emptied through the built-in spout, so no chance of sloshing dog pee all over yourself. The grass can be hosed down or washed easily too, as can whole unit. Spritzing the grass regularly with Piddle Place enzyme spray, and keeping the bio-enzyme concentrate solution in the base fresh, means that odors are almost non-existent. The Piddle Place is compact and lightweight, measuring 19" x 30", and suitable for dogs up to 28" long (and 100lbs according to the manufacturer, but I doubt any 100lb dog is shorter than 28"!!). The AKC Potty Patch is another good, artificial grass, choice for puppies and small dogs (under 15lbs). This kit is made up of three separate pieces... a plastic try, a plastic grate, and soft, scented, anti-microbial synthetic grass. The grass is designed to allow urine to flow through it easily, through the grate below, and into the tray underneath. Measuring 17" x 27" this is the second smallest indoor dog potty featured on this page (Fresh Patch is slightly smaller, but has the option to join two or more units together). It's perfect for small dogs or puppies and doesn't take up much space. If you're using it on a wood or tile floor you might want to add a piece of non-slip rubber mat or tape underneath to prevent it from sliding around. The grass is scented to attract Fido, but if it doesn't seem attractive enough to him you can buy a potty training attractant spray like OUT! Go Here Attractant. When your dog has peed, you simply remove the grate and grass and empty the urine from the tray into the toilet (or wherever you plan to put it! ), wash it and replace it. Rinse or wash the grass regularly too to prevent a build up of odors. If your dog poops on the grass it will obviously need cleaning right away. 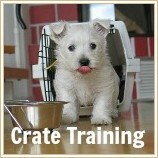 Some puppies and dogs can be trained to use litter-boxes as indoor dog potties rather than pee pads or grass potties. Some will resist, or don't like the feel of the litter, and a litter tray is best suited to small dogs, so this isn't an option that works for everyone. Litter trays don't have the drawbacks of training pads (ie they're not generally used as toys, but some pups will want to dig in them!) and they're easier to keep clean and less smelly than some artificial grass potties. There isn't much choice for dog-specific litter boxes. The best option is the PuppyGoHere design featured below. A cat litter box can also work, but try to find a design which has low sides and a wide enough entrance to keep Fido comfortable. The PuppyGoHere indoor litter pan has been specifically designed for dogs. Available in two sizes: 20" x 15" x 5" & 24" x 20" x 5". The larger size will fit a puppy or dog up to 25lbs. A sturdy, stable design which is available several different colors options. PuppyGoHere litter pans come with a step-by-step training guide to help you get Fido using it properly right away. Second Nature dog litter is made with paper pellets, using recycled materials. Added odor control gives it a clean, fresh scent. Good absorbency and easy to scoop/clean. The pellets are not tiny, so small dogs may find them a little uncomfortable to step on. So Phresh dog litter is also made from absorbent paper pellets which swell up once they're wet. Made in the USA from 95% post consumer paper. 99% dust free. Odor-control and moisture-locking actions. If your puppy or dog doesn't like using the litter pellets (this doesn't happen often, but it can) then you can always use a puppy pee pad instead. You can buy dog scent-attractant to spray on litter, pads or grass mats which are not impregnated with it already. Or to 'top-up' an existing pad. For scooping poop a cat-litter scoop works great for litter boxes, a small pooper-scooper with 'teeth' is best for the grass potties. Patience is needed to help your pup/dog understand where you want him to eliminate. 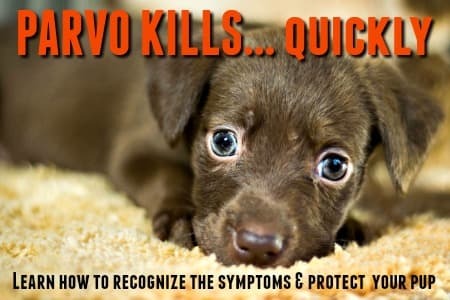 It might be obvious to you, but probably not to Fido!